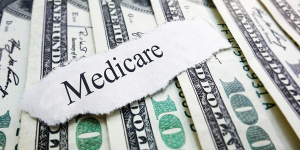 Medicare Supplement Plan L may be a good choice for those with low medical expenses as it has the ability to have an out-of-pocket limit, resulting in a potentially low monthly payment. The annual out-of-pocket limit for 2019 is set at $2,780. Medigap Plan L also requires you to pay a percentage for other covered services, instead of covering the entire cost for you. This helps to keep your plan premiums low. Plan L utilizes different divisions of cost for items and services than most of the supplement plans. You will have to pay some expenses yourself for some covered services until you meet the yearly cap. After you hit the yearly limit, your Plan L policy pays these expenses until the end of the year. Specifically included with Plan L benefits include, coinsurance for Part A and expenses for 365 days after your hospital benefits end. The coinsurance for Medicare Part B is covered 75% for services other than preventative. Also covered at 75% are the skilled nursing facility service, hospice care coinsurance or co-payment and the Medicare Part A Deductible. Blood coverage is also covered at 75% after the first three pints. There are services and benefits not covered under Plan L. The Part B deductible is not covered and any excess charges are also your responsibility. Emergency coverage for travel abroad is not included with this plan, so be aware of this when traveling. Recovery at home benefits are also not included in Plan L. The out-of-pocket limit, (amount that you are responsible for), in 2019 is $2,780 and may increase or vary from year to year. Not all insurance carriers offer all Medigap Supplement Plans and it can be difficult to determine which plan is right for you. Most insurance carriers offer a variety of plans, so our licensed sales agents can help you shop around for the plan that will best fit your needs.